As you know if you've spent five minutes with us, the Four Root farmers love each other as family and genuinely get real joy from working together as intimately as farming refquires. As a four-person team we have a productive and healthy diversity of skills. We are farmers, architects, musicians, athletes, historians, dog people, cat people, miniature Scottish Highland people, enthusiastic cilantro eaters, and enthusiastic anti-cilantro eaters. We all love soup. One of us is a three-year-old. Aaron Taylor came to farming following a childhood in Vermont, degrees in early music and political science from Wesleyan University (where he met Caitlin), and a series of disparate career experimentations. After college he found meaning as a social worker in the struggle against poverty and injustice, passion in the creativity and beauty of being a professional musician, and excitement in the fast pace and controlled chaos of a prominent Manhattan immigration law firm, but it was only when he began farming that he found all three. In 2010, he and Caitlin moved from NYC to Connecticut, where she was beginning graduate school, and where he began to search for a job related to his budding interest in food systems and food justice. Fatefully, while on the job hunt, he started volunteering at Massaro Community Farm in Woodbridge (where he met Rachel and Elise). To his surprise, this temporary learning opportunity turned into a part time job, then a full time job, and eventually led him to become the Assistant Farm Manager. At Massaro Aaron fell for the tangible direct action of learning to grow food outside of our broken industrial system. The messy, back-breaking, chaotic world of farming suited his inclination towards working with his hands, being outdoors, his love of food and cooking, his incredible attention to detail, and his taste for intermittent bursts of overwhelming amounts of work. As our business grows and as we make investments in permanent infrastructure on the farm, Aaron himself constitutes the entire building and infrastructure team. Yes, he goes to the hardware store three days a week, yes he designed our entire irrigation system from scratch, and yes he is a human excavator when necessary. He also manages harvest and wholesale accounts, teaches the baby how to seed and plant, is the founder, chairman, and dictator-for-life of the now-defunct Team Salad Greens, and is co-Market Master of the Madison farmers market. In his ongoing quest to eliminate free time from his life entirely, he also recently co-founded the Connecticut Greenhouse Company, to provide high tunnels to other farmers around the state. Rachel Berg is a Connecticut local, having grown up in Bethany and run competitively on the Hopkins cross country team in high school. Before studying history at the University of Chicago, she joined the Howard Dean for America campaign, where she worked in the scheduling office. After college and year of WOOFing, she found herself back in central Connecticut managing farmers' markets for CitySeed and volunteering at Boulder Knoll Community Farm in Cheshire. In 2010, she became a volunteer at Massaro, where she met Aaron and realized that farming was her career. She left Massaro after three seasons to attend the University of Vermont Farmer Training Program, but came back to join her partners and build our new farm business. Rachel bakes the best challah ever on the face of this green earth, loves presidential history almost as much as she loves farming, has an uncanny memory for dates, and can smell a ripe cantaloupe from - literally - a mile away. She is our field manager, master bed-prepper, and enthusiastic carrot-weeder. 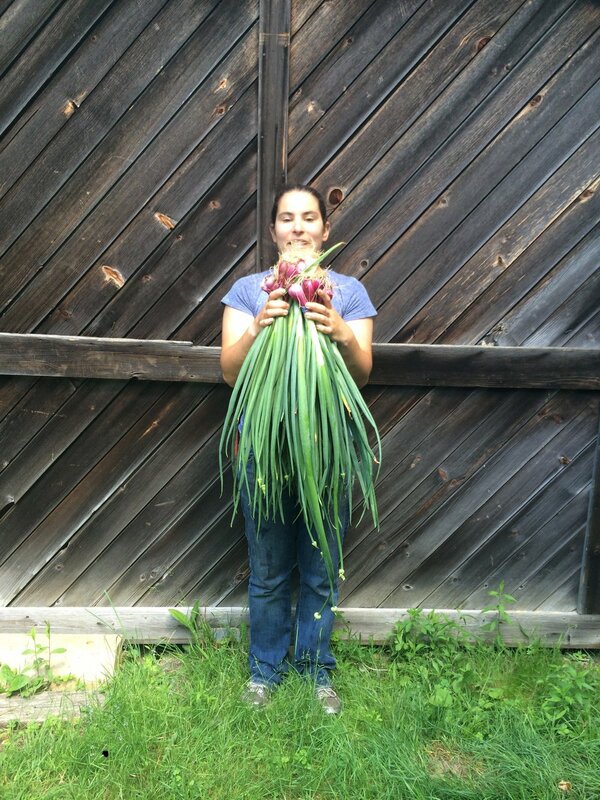 Rachel manages all our money on the farm with a precise and watchful eye, has recently been elected to the Advisory Committee for CitySeed markets, sits on the steering committee of the New CT Farmer Alliance, and is the treasurer for our Madison farmers market. Elise Cusano is a born-and-bred Connecticutian, and is New Haven pizza royalty. 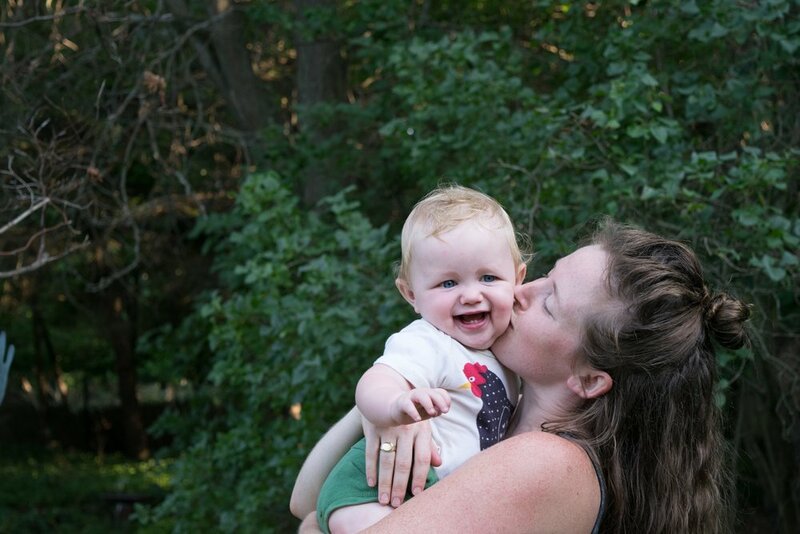 After attending Skidmore College and studying English Literature, Elise moved back to Connecticut and took a job at CitySeed, where she very fatefully met Rachel. After a stint as a Market Manager, she worked at Kitchen Garden Farm in Massachusetts, and at Massaro (where she met Aaron), before taking a job as the Farm Manager at Northfordy Farm in Northford. For three seasons at Northfordy, Elise worked with animals as well as plants and managed to grow the largest rainbow chard anyone has ever seen. Above and beyond being a brilliant and dedicated farmer, Elise has a plant intuition that runs deeper than knowing when the beets need to be weeded and she is as thoughtful with plants as she is with people. Watching her read the tiniest, most imperceptible signals from a crop about what it's lacking, or why it's thriving, is pure magic. Elise manages our propagation and greenhouse, fertilization and soil amendments, and monitors our plants health through the season. She is also our chief tomato-grafter, perennial manager, is in charge of our ever-expanding flower growing operation, and dutiful leader of the canning, preserving, and pickling department. Caitlin Taylor is both a member of the Four Root Farm team and a Design Director at MASS Design Group, a non-profit Architecture firm based in Boston, where she leads their work related to food justice, agriculture, and food systems. Caitlin grew up in Syracuse, NY and studied Biochemistry at Wesleyan University (where she met Aaron). After a stint as a project manager in a large New York City architecture firm, Caitlin moved back to Connecticut in 2010 to get a Masters of Architecture at Yale University. Following graduation, she co-founded the Water Pore Partnership, a firm focused on network-scale infrastructural design. In 2014, she received the Holcim Foundation for Sustainable Construction Gold Prize for her work on urban flood control in Las Vegas. Prior to joining MASS, Caitlin taught advanced architecture studios at the Yale School of Architecture and Columbia Graduate School for Architecture, Planning & Preservation. On top of all of this, Caitlin somehow manages to write our blog, partner with Elise on our continued efforts at breaking into the world of organic cut flower growing, and over-enthusiastically manage the hot sauce department. Any remaining hours not consumed with wrangling a very cute three-year-old, are spent crouched down in the flower beds examining imperceptible differences in color and texture while cheerfully obsessing about humans’, plants’, and buildings’ precise location in geologic time relative to the apocalypse.